I was really looking forward to The Devil & the Deep Blue Sea but I'm not so sure now. A likeable only by comparison protag? Doesn't sound very likable to me. Insta love isn't usually my thing either. YA seems to be such a disappointment for me lately! I did enjoy Amber House as well, Keertana. I agree, the love triangle was unnecessary and it really didn't inspire any strong feelings at all. I'm finding a lot of books lately that have gorgeous, atmospheric writing but don't quite deliver. For me anyway. Also - I see you're reading Chasing Shadows - hope you enjoy it! I liked that one. Oh I can see why you didn't love the first one as much. Still, I want to read it. What can I say, the title still pulls me in. However, knowing it isn't that different, I don't think I'll hate it as much. That's such a shame that you weren't able to enjoy Between the Devil and the Deep Blue Sea, as much as you'd hoped Keertana, I really was hoping that it would be a decent gothic mystery, but the quick relationship that you've described between River and Violet doesn't sound like my cup of tea at all. I know that Rachel really enjoyed Amber House, so I'm glad to see that you're eager to dive into the next book. Also *high five* for the love triangle being resolved in this book. Lovely reviews as always! I've put off reading BtD&tDBS and reading your review makes me feel a lot better for not having attempted it. There's a lot that already bothers me, but mostly the insta-love and the "special" main character. Ugh. I can't stand those anymore at this point. 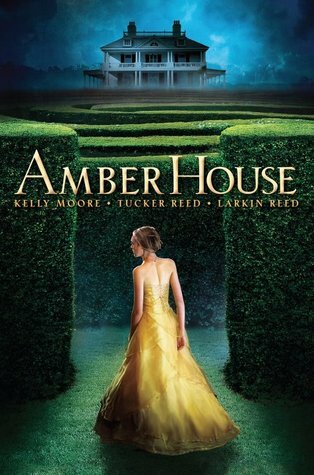 I haven't heard much about Amber House but it looks good. I love books where family relationships are portrayed in a realistic way and Sarah seems to have interesting relationships. I'll keep in mind the slow start, so hopefully it won't affect me as much. But you did mention love triangle though. I'm trying to stay far far away from them because I'm so mentally exhausted of them. I've had enough of them. At least it's resolved in this first installment itself. I was really looking forward The Devil & the Deep Blue Sea and then I started seeing not such great reviews for it that's why it is buried somewhere on my Kindle. I need to get to it. I really want to try it. I haven't seen Amber House before but it sounds like a really nice story. I mean the beginning not so much but still it seems worth reading. 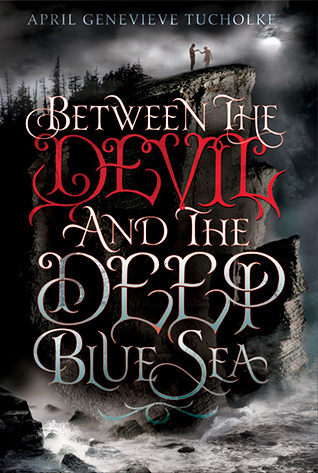 It didn't take much for me to add Between the Devil and the Deep Blue Sea to my TBR. I saw the magnificent cover with an equally alluring title to boot, and I was sold. Though now, I'm re-thinking this decision. I could possibly ignore the insta-love thing if the plot was a little more exciting and less familiar, as you put it. But now, I'm unsure. I'll wait to see what others make of the sequel before deciding to jump into this series full on or not. Do you plan to give the sequel a shot? Like others who have commented before me, I've never heard of Amber House before. You mention it's a promising start to a series --which is great! I look forward to your thoughts on the sequel. Enjoy! Oh, bummer that The Devil and the Deep rubbed you the wrong way, Keertana! I really enjoyed it--but I do get that some people would find the chracters annoying and unlikable (especially River and Luke) and they do "fall" for each other pretty fast--but I loved how you never knew which way was up with River--and that essentially he's a pretty terrible guy (though he does have some reasons) and Violet was forced to come to terms with that and still decide if she wanted to be with him. But everyone interprets books differently:) Thanks for the giveaway--I'm entered! I liked Between the Devil and the Deep Blue Sea, but didn't think it was as great as the hype. I would probably lean more toward Amber House though. Based on your thoughts, I would probably enjoy it more. I really liked Between the Devil and the Deep Blue Sea and I will fully admit to getting completely caught up in the gorgeous language and gothic setting. But you make some great points about the romance and the characters. Still I'm excited about the next in the series. I think it's a duet. I just know my sister will love these books!! I am a huge fan of anything Gothic, and Amber House just happens to be one of my favorites! I would absolutely have to choose that pack if I am lucky enough to win! Thanks so much for the giveaway! I don't think you're the only disappointed by Between the Devil and the Deep Blue Sea. A lot of reviewers whose opinions I respect have been lukewarm about it. Between the Devil and the Deep Blue Sea did have a lot of flaws. I agree with you on a lot of things you brought up. I disliked how Sunshine was just ploy and it really pissed me off at the ending when Violet just left Sunshine at the hands of pain and didn't even try to help but ran away. It was quite aggravating. Great reviews, Keertana!